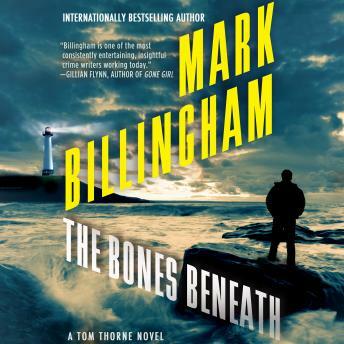 In The Bones Beneath, the latest addition to the internationally bestselling Tom Thorne series, Thorne once again must confront Stuart Nicklin, a master manipulator and ruthless murderer. When Nicklin announces that he wishes to reveal the whereabouts of one of his earliest victims and that he wants the cop who caught him to be there when he does it, it becomes clear that Thorne's life is about to become seriously unpleasant. Thorne is forced to accompany Nicklin to a remote island off the Welsh coast which is cut off from the mainland in every sense. Shrouded in myth and legend, it is said to be the resting place of 20,000 saints, and as Thorne and his team search for bones that are somewhat more recent, it becomes clear that Nicklin's motives are darker than could be imagined.The twisted scheme of a dangerous and manipulative psychopath will result in many more victims and will leave Tom Thorne with the most terrible choice he has ever had to make.